WINSTON-SALEM, N.C.--(BUSINESS WIRE)--Krispy Kreme Doughnuts is making World Chocolate Day global like never before and like no one else. For the first time in the company’s history, on Saturday, July 7, Krispy Kreme Doughnuts will offer its fan-favorite Chocolate Glaze Doughnuts at participating shops on six continents. 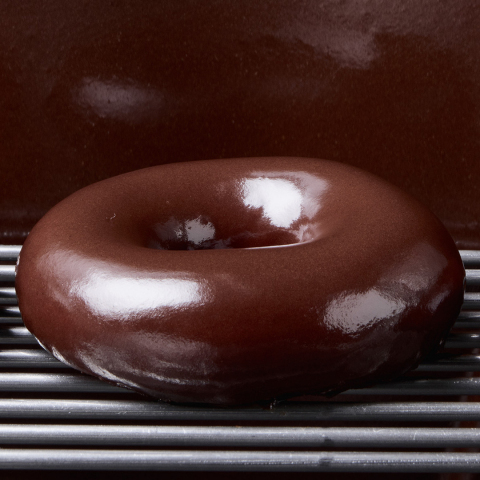 Featuring Krispy Kreme’s classic Original Glazed® Doughnut smothered in rich chocolate glaze, the Chocolate Glaze Doughnuts will give doughnut fans an awesome World Chocolate Day experience that only Krispy Kreme can create. 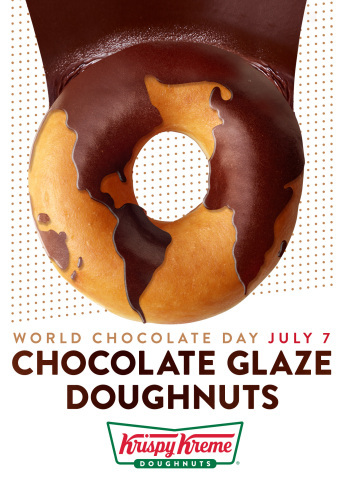 To further the celebration, many shops will open beginning at midnight to serve Chocolate Glaze Doughnuts for all 24 hours of World Chocolate Day, while supplies last. The Krispy Kreme shop in Auckland, New Zealand will host a midnight celebration to kick off the global event, which will end nearly two days and 29 countries later at the Krispy Kreme shop in Kahului, Hawaii. 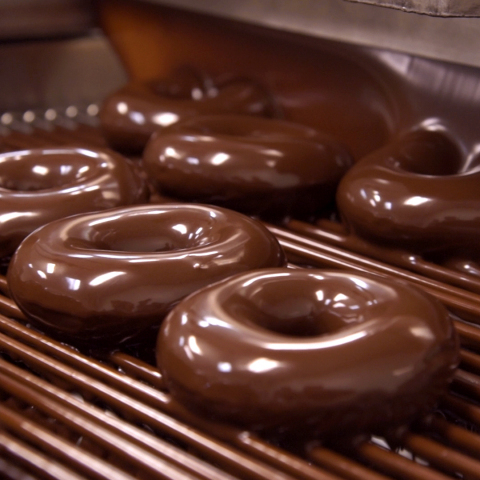 Guests who visit participating Krispy Kreme shops in the U.S. will see the chocolate glaze waterfall as the doughnuts are prepared, smell the aroma of chocolate wafting through the shop, and taste the familiar Original Glazed Doughnuts smothered in a mouth-watering chocolate glaze. Fans can count down to Krispy Kreme’s World Chocolate Day kickoff in Auckland, New Zealand by visiting www.KrispyKreme.com/WorldChocolateDay, where they also can find their local participating shops. Countries participating include: New Zealand, Russia, Australia, Japan, South Korea, Taiwan, Philippines, Malaysia, Cambodia, Thailand, Singapore, India, Bangladesh, United Arab Emirates, Saudi Arabia, Kuwait, Turkey, South Africa, Nigeria, United Kingdom, Iceland, Canada, United States, Dominican Republic, Peru, Panama, Mexico, Guatemala. Throughout World Chocolate Day, Krispy Kreme Doughnuts will share video and images from around the world on its Twitter channel @krispykreme. Be sure to show your excitement for Chocolate Glaze Doughnuts by using the hashtag #WorldChocolateDay and tagging @krispykreme on social.